Morocco is resolved to strengthen its cooperation with the G5-Sahel countries to develop coastal zones and take up the serious security challenges facing the area. The statement was made by the Head of the Moroccan Government, Saâd Dine El Othmani, upon arrival Wednesday in Nouakchott to represent Morocco at the coordination conference of the partners and donors of the G5-Sahel group, made up by Mauritania, Chad, Mali, Burkina Faso and Niger. “We are determined to cooperate fully with our brothers in the five countries of the Sahel to develop coastal areas that are facing serious threats affecting the security of the entire region, including that of Morocco,” El Othmani told MAP. Morocco will present to the Nouakchott conference its program of action in the Sahel region, he said, outlining that the Kingdom’s participation in this conference is underpinned by its commitment to promoting inter-African relations, its key role in the region, and its concern to develop the Sahel region and preserve its stability and security. 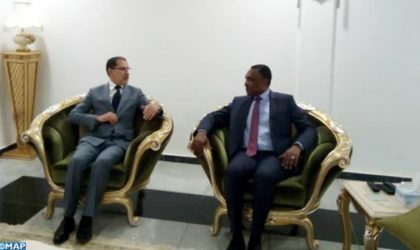 Othmani’s visit to Nouakchott will be an opportunity to discuss with the Mauritanian Prime Minister, Mohmed Salem Ould El Bechir, ways to further promote Moroccan-Mauritanian relations at the economic, social and political levels. The coordination conference, held this Thursday, is attended by several heads of state and government and representatives of donor countries and institutions. It aims to mobilize the necessary funds for the G5 Sahel priority security and development program. Created in February 2014, G5-Sahel aims to coordinate and monitor regional cooperation in development matters, and particularly in the fight against terrorism in the region where armed groups linked to Al Qaeda are active. The five countries of the Group had decided to form a force of 10,000 men to secure the borders and fight terrorism, especially between Mali, Burkina Faso and Niger. It also drew up priority investments and structural projects programs to upgrade basic infrastructure (transport, energy, communication and hydraulics), food security and pastoral economy, all components likely to promote security in the region with a 60 million strong population. At a Brussels conference held 9 months ago, funding pledges to the joint G5-Sahel force amounted to €414 million. Banking on these promises, the group set up a trust fund hosted by the Central Bank of Mauritania (BCM). According to an assessment document of its Permanent Secretariat, the group has so far received the contributions of Rwanda, the West African Economic and Monetary Union (UEMOA) and the United Arab Emirates (UAE). However, to better ensure their security, the group member states will have to make their own contributions. As of 2019, each G5 Sahel state will allocate 13 billion CFA francs a year, or €20 million, to the regional security effort. Thus, the joint force, under the responsibility of General Hanana ould Sidi (Mauritania), and his deputy Omar Bikimo (Chad), will have the necessary resources to address the terrorist threat. At the development level, there is need for resources mobilization at the domestic and international scales, for the implementation of a global portfolio of 40 projects worth nearly €2 billion, of which 13% funding is provided by the member states. The first phase of the Priority Investment Program (PIP), covering the 2019/2021 period, targets the four G5-Sahel strategic axes: governance (€81 million), resilience (€200 million), security (€396 million) and infrastructure (€1 billion), according to the assessment document.